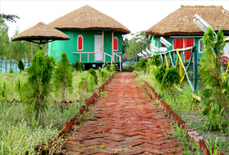 Located amidst the lively Sunderban forests, Sunderban Tiger Land resort is well-acclaimed for offering a homely stay to the guests. 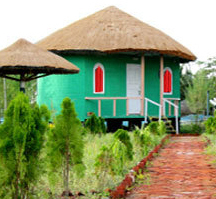 This eco-friendly resort offers the best of hospitality, services and amenities. 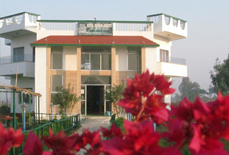 The beautiful garden in the resort campus is a visual delight where one can also savor the mixed fragrance of flowers. 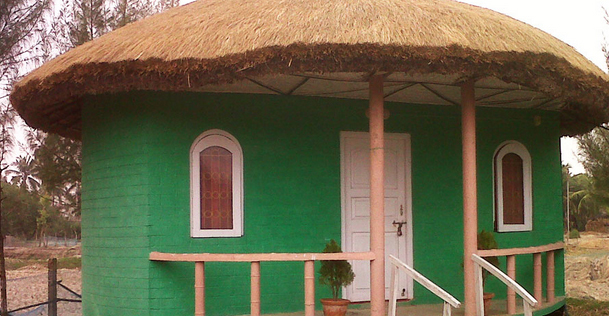 The beautifully carpeted floor and the finely decorated ceiling add to the decor of the resort. 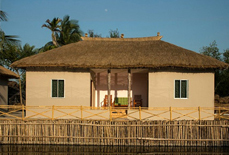 You can enjoy bird watching sitting by the window that will be an unforgettable experience for you. 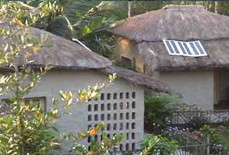 The resort also gives you an opportunity to enjoy tribal dance, bird watching and elephant safari. 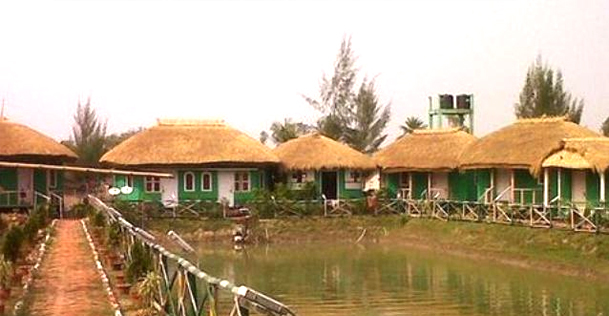 A well set multi-cuisine restaurant serves the gastronomic requirements of the guests. 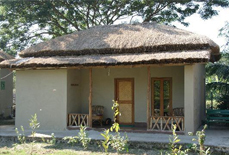 Accommodation units at the resort are equipped with all creature comforts to ensure a comfortable stay for the guests. 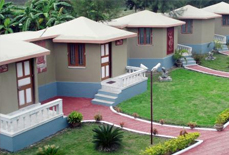 Overall, the resort is a good pick for someone looking for a stay amidst the soothing natural beauty at an affordable tariff. 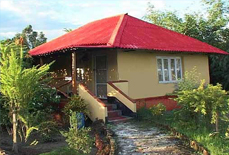 Accoommodation : Sunderban Tiger Land Resort features 9 cottages which are categorized as triple bedded and double bedded cottages. 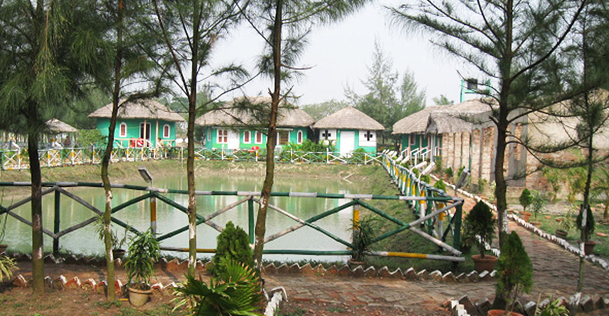 Situated in Gosaba Thana region, the resort is approx. 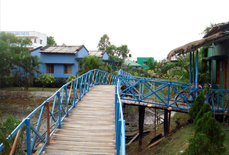 100 kms away from Netaji Subhash Chandra Bose International airport. 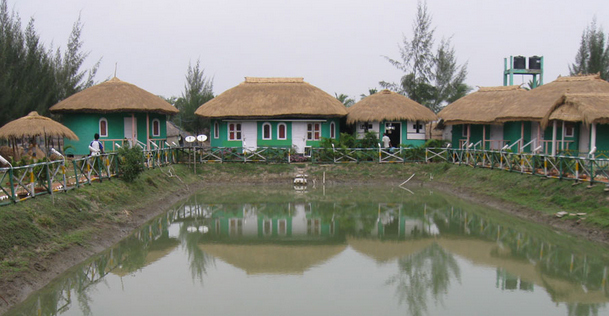 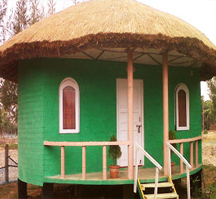 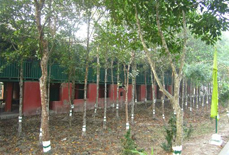 Sunderban Tiger Land resort is also located close to various other famous tourist destinations.